It’s getting harder to find a doctor. According to the AARP, America is short by about 16,000 primary care doctors. According to a study by Merritt Hawkins, a healthcare consulting company, the average wait to see a family physician for the first time ranged from 66 days in Boston, MA, to just five days in Dallas, TX. A walk-in clinic at FastMed Urgent Care in AZ or NC can help solve that problem. You never need an appointment at a FastMed walk-in clinic. We’re open every day of the year, including holidays. FastMed clinics operate with extended hours, so you can come in before of after work or school. 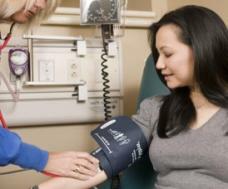 Walk-in clinics are medical facilities that do not require an appointment: walk-ins are welcome. At FastMed, it’s our objective to get you in and out of a consultation within an hour. When you’re sick or hurt, just find your nearest FastMed location and come by. Do walk-in clinics take insurance? FastMed takes most major insurance plans – check for your state here. We offer a discount program to help people without insurance manage the cost of their healthcare. What kind of services should I expect? What if I get sick on Christmas or Thanksgiving? While falling ill during the holidays could spoil the festive cheer, we’re open even on those special days to help get you back to family and delicious seasonal food. You can’t schedule when you get sick, so we’re here at every FastMed walk-in clinic just in case you need us.